Meeting with Education and Science Minister Olga Vasilyeva. 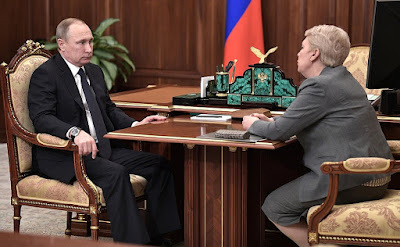 Putin.BLOG Education Science Meeting with Education and Science Minister Olga Vasilyeva. Vladimir Putin had a working meeting with Education and Science Minister Olga Vasilyeva to discuss the current situation in sphere of science, inparticular, support for young scientists. Ms. Vasilyeva, let us discuss how you see the situation in science. What are the challenges and problems, as you see them? If you do not mind, I would like to talk about young scientists. Up until 2014, we had negative figures, with young people leaving science. 2014 was a turning point, when young researchers started coming into the sector. This is the result, above all, of work on your instructions, which lay the foundation for the instruments we develop. In 2015, we had 379,000 researchers, of whom 8,500 were new to the sector. Support for developing these young scientists’ careers takes several forms. Above all, there is the first grant, the seeding grant that young scientists can obtain upon their first application to the fund. The fund in question is the Russian Foundation for Basic Research (RFBR). Overall, your support and extra-budgetary and budgetary support for scientific funds brought in 40 billion rubles last year. The RFBR received 6000 applications, and 2,500 young scientists received grants. This was the first time that we had 500 applications for support for internships at various research centers. This is an mportant start for young scientists. Another important source of support for young scientists is the opportunity to take part in mega-grants. We currently have 160 laboratories established through the mega-grant program – also a result of your instructions – and we will have another 40 beginning work this year, bringing the total to 200 at 79 universities. This means we cover practically the entire country. One of the most important developments is that the laboratories are headed by scientists who had gone abroad and have now returned, or who continue working both here and abroad. What is important here is that they are forming scientific schools – 5,000 people now, including young scientists: 2,000 postgraduates and 800 students, and this system continues to develop. 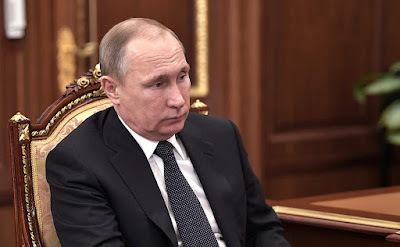 Of course, the presidential grants also offer huge support, with 600,000 rubles a year for PhDs, one million a year for holders of the Doctor of Science degree, and 22,800 rubles a year for postgraduate students. This offers substantial material support for those who wish to remain in science and pursue their careers in this field. There are other matters too, legal aspects, now that we have put this system in place. I see this as our success, modest for now, but nonetheless asuccess, that all research andhigher education organizations now advertise their vacancies onour website. They post up to 800 vacancies a month. This creates a transparent selection system that we monitor, and we can say for certain that organizations are now competing for young scientists. The post-doc system is another important development we have launched this year, and it offers new opportunities for young scientists to continue their professional growth. After all, after defending their PhD theses, these young specialists need to find a place to start building their careers. We received 2,500 bids and selected 444 people who now have the possibility to work, receive money, and pursue their research for 2–3 years. 120 of the applications came from organisations. This is also a positive development. It makes me very happy to announce another first, this time concerning research at the student level. The rector of the Southern Federal University informed me that the university earned 200 million rubles from intellectual property rights last year. This opens up completely new horizons and is a new step in relations with businesses, a new model. I would like to tell you about another rather ambitious project. Young mathematicians from the St. Petersburg's school, winners of the Fields Medal, came to the Ministry to discuss an idea they have. The number of articles is on the increase, but while young scientists make up 52 percent in other scientific fields, in fundamental mathematics they account for only 37 percent, and the number of PhD theses defended in this field has dropped by 13 percent. However, fundamental mathematics is absolutely essential for physics, biotechnology, and all other fields. They have come up with a very interesting project that we are launching now – the Regional Mathematics Centre. It encompasses 10 venues, regional universities. A team would go out there, headed by a prominent mathematician, with five PhD holders, postgraduates, and Masters students. They choose the venues and begin cultivating research there, spend a semester or half a year teaching, perhaps even two semesters during one year. This will give young people from those universities an opportunity to do internships at our best institutes: the Steklov Mathematical Institute, the Landau Institute for Theoretical Physics, and at various universities, and in this way, this school of mathematics will gradually grow and develop. What is important here is that the idea came from the young scientists themselves. In other words, this means a lot to them, and I think this is very important for our project’s success. Finally, implementation of the National Science and Technology Development Strategy, which you approved, has opened up new horizons for developing science, and we have set the ambitious task of creating chains that run from research right through to the final product. To date, we have 100 business organisations that want to work with us. They include not only big organisations that have always supported us, such as Rosatom and Roscosmos, but also small organisations of interest to our young scientists. We have analysed the figures and what we see is something new, namely, that small technological companies that receive subsidies from us not only return the money, but also make profit. Young scientists are eager to work in these companies, so we see today an obvious interest in these as yet small but very tangible results. Fundamental science continues to develop as well, and the share of young scientists is growing. It is no exaggeration to say that we have visible results today. Yes, it is growing younger, and this is great. 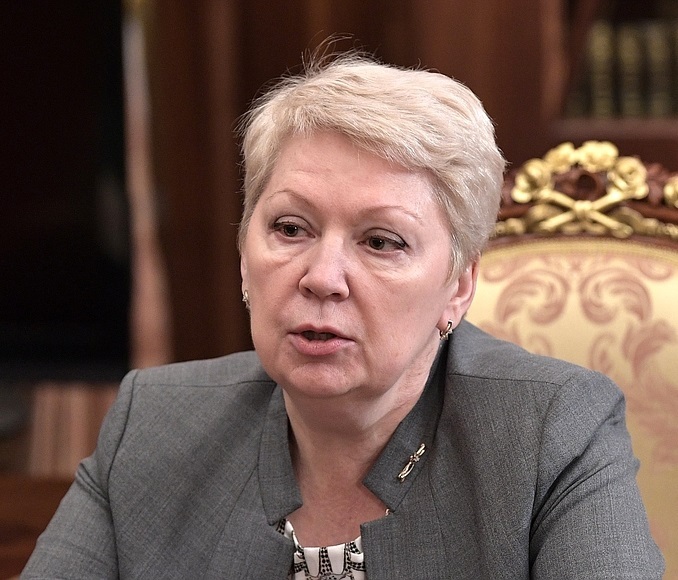 Education and Science Minister Olga Vasilyeva. Vladimir Putin and Olga Vasilyeva. 0 Comment to "Meeting with Education and Science Minister Olga Vasilyeva."